Entering the workshop of Weichai Remanufacturing Company, the workers are busy working on the job. On March 2, 2008, China's Auto Parts remanufacturing pilot began. The National Development and Reform Commission officially issued a document approving 14 pilot companies such as FAW and Weichai. 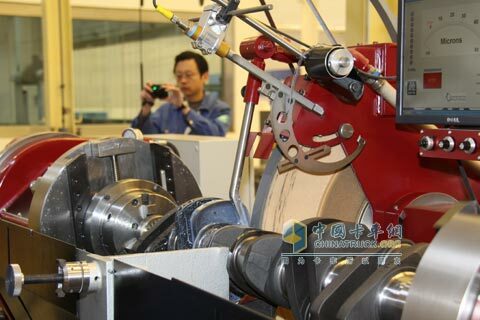 Yu Qiang, general manager of Weichai Remanufacturing Corporation, told reporters that the process of remanufacturing the engine was to recover the machine first, and then reassemble, test and decompose the product after dismantling, cleaning, testing, and repairing to the standard of qualified parts. . In the process of dismantling and repairing, some parts are directly disposed of. In addition, some parts can be upgraded in combination with the features of the latest products. It is understood that at present, Weichai Remanufacturing Co., Ltd. has designed an annual production capacity of 20,000 remanufactured engines. "These remanufactured engines have the same 'three' compared to ordinary new engines: the same as the new machine, the economy is the same as the new machine, and the warranty period is the same as the new machine." Yu Qiang said that Wei Chai's Remanufactured products are cost-effective. An engine that is scrapped on the market can be sold to Weichai at a price of 25% of the new machine. After remanufacturing, the new machine can be bought back at 70% to 75% of the price. In this way, as long as half the money is spent, users can have a remanufactured new machine. Yu Qiang said that in the near future, the pilot project of â€œreplacement with oldâ€ carried out by relevant government departments is a big plus for the industry. Under the joint guidance of economic benefits and social benefits, coupled with policy-level support, Weichai will seize the opportunity and strive to make remanufacturing a new growth point for the company as soon as possible.